The Miller-Meteor coach company of Bellefontaine,Ohio manufatured the most famous of all professional cars. In terms of manufacturing status, Miller Meteor was considered middle of the pack. 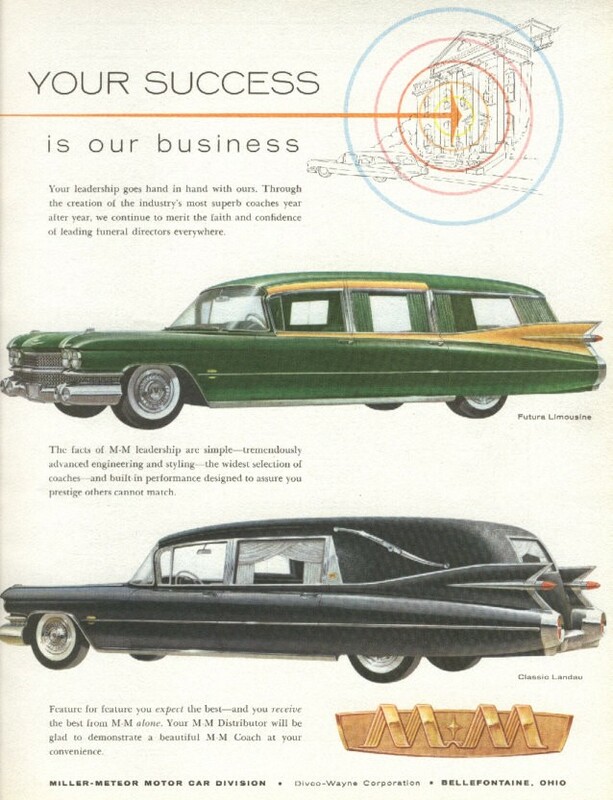 Sayers & Scovill coaches were considered to be for the more well-to-do funeral homes, and Superior Coach Corporation with their Crown Royale model is regarded as the most desireable of all 1959 models. Of the approximately 2,100 commercial chassis assembled by Cadillac, Superior recieved the largest allotment. Another manufacturer, Eureka, received the fewest of the chassis and are the rarest of all 1959 models. 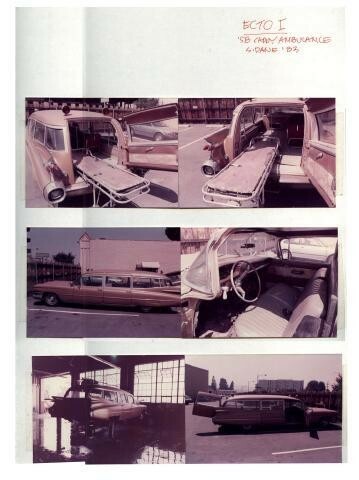 Not only did Miller-Meteor make the Futura Limousine (windows all around) and Classic Landau (no windows in the rear), they also offered was what they called a "panoramic" where the windows next to the rear door were added to the landau top. Ambulances were also made on the same chassis. They varied widely in options from some being "high top" and some having a standard height roofline. 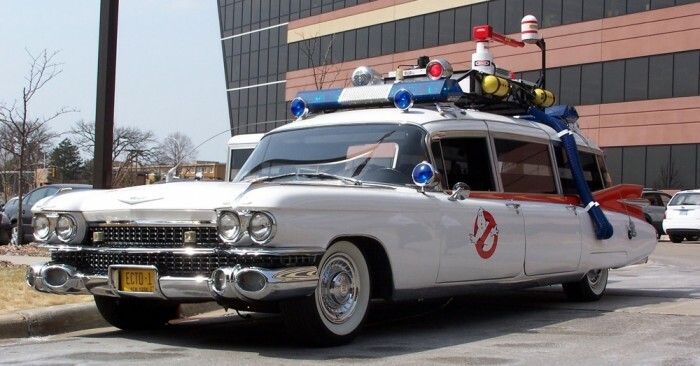 Ecto-1 is the happy medium between the hearse and the ambulance, hence the combo name.